Dow and OEX closed right on their 50 D-SMA today. 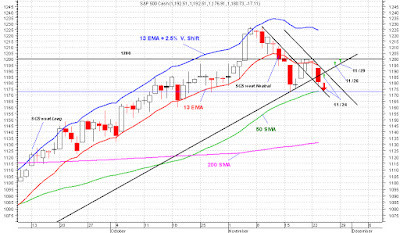 I think we have a good chance of seeing SPX test its 50 D-SMA also, either tomorrow or on Friday. 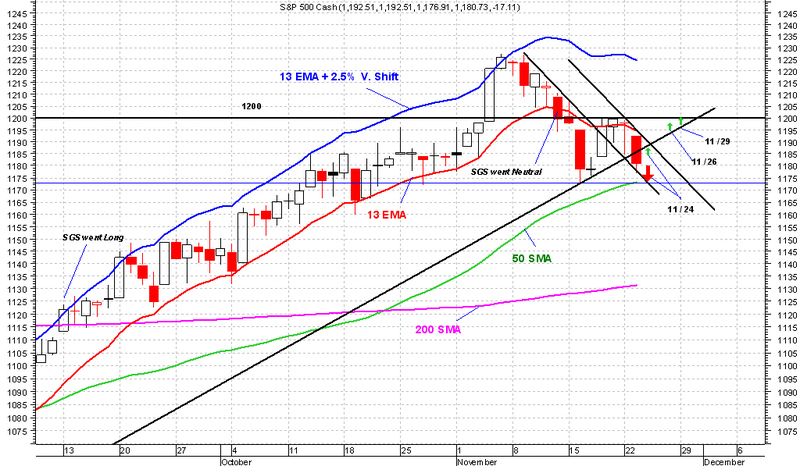 A solid and heavy close below 50 D-SMA means a very probable visit down to 200 D-SMA (lower 1130's). That is the bear case. For the bull case, SPX needs to do a solid and heavy close above 1200 either tomorrow or on Friday. That's is not very likely.